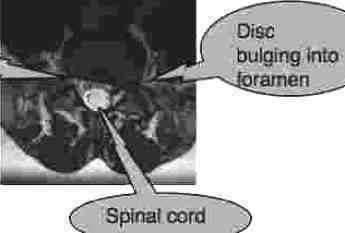 Slipped disc symptoms in the lumbar spine are quite specific. Slipped disc symptoms include sharp lower back pain, especially when bending and often sitting. A positive Valsalva is strongly suggestive. This page was last updated by Dr Barrie Lewis on 11th March, 2019. Lower back pain may be associated with a discomfort in the lower extremity, as it's called in anatomical jargon, and very occasionally in both limbs. Sharp stabs or a dull ache on sneezing, coughing and straining on the toilet is the hallmark of a disk injury. Irritation in the thigh, and down to the foot, on bending forwards and perhaps when bending backwards, or to the side may also occur. There are four degrees of a slipped disc. 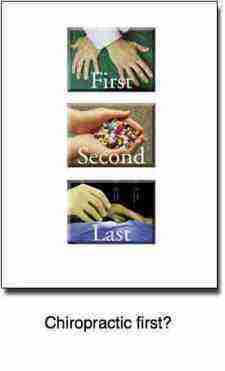 In the first three you will have low back pain, which may or may not be severe, and increasing discomfort in the leg. In grade four the lumbar stabs diminish dramatically, but the limb becomes far worse and is likely to become weak and numb. The sciatic and femoral nerves emanate from the lumbar spine; the former from right at the bottom, and the latter from the mid lower back. They supply different parts of the leg. Is that pain in your lower limb coming from your back, or something else? Have you a pulled a calf muscle, a tendonitis, a deep vein thrombosis, a partially blocked artery, or one of a heap of other conditions? The test I use most frequently is called the Slump test, and you can do it at home, but interpreting the results is not straight forward. However, with a negative Slump test you more or less categorically rule out a pinched sciatic nerve in the back, but not a femoral root lesion. It's rare for the pain to go straight to your leg, with no back pain first, but it can happen; most uncommon. Slipped disc symptoms are usually fairly recognisable, certainly to the experienced chiropractor, but often to the patient too. Does it hurt when you cough? Then beware. In 60% of the patients with this condition, the pain starts after bending and twisting and, often, heavy lifting. For example lifting and moving a potted plant. Should you sneeze at just that moment, then your back is especially vulnerable. The low back pain may be severe, or in fact relatively minor. Pain with coughing, sneezing and/ or bearing down on the toilet, and laughing. Pain in the lower back when you flex your head and neck to get into the car. Early mornings may be worst. It's possible that you may go into a strange posture. Stuck bending forwards, or to the side. A central bubble of gel called the nucleus. Fluids cannot be compressed, so when you lift something, and there is increased weight on the disc, the forces are distributed in all directions. This is quite normal. The gel is contained in the annulus, ring. Notice that it consists of about 6 layers of fibre, arranged like an onion skin, but also interwoven with cross links. If the gel in the nucleus tears through more layers of the ring then the slipped disc symptoms will change: pain, or tingling, or a numb feeling, or a tight feeling starts to develop, first in the buttock, then radiating down the leg. A tear through one or two layers is often called a bulging disc. It hasn't actually reached the nerve. But if it tears through more layers then tingling and pain in the leg will begin. If whilst busy with some activity, usually involving twisting, and often bending, whilst applying pressure, and you feel a stab of pain in the lower back, immediately stop. Your back is warning you, and if you're lucky the damage is not yet done. Sometimes alas the fibres of the annulus have just torn further, and it's vital to prevent the gel from rupturing right through into the canal. Take special note of which part of your leg is affected; it gives your chiropractor important extra information. Read more about patterns of tingling in feet and legs at the link below. Notice now that the bulge, now called a protrusion, has reached the nerve; if it goes any further, then called a prolapse, sometimes known as an extrusion. These terms tend to be used rather loosely and interchangeably. Perhaps more commonly, the nerve isn't actually pinched. The fixated joint prevents proper joint nutrition of the hyaline cartilage from occurring. As the cartilage is starved of nutrients and oxygen, it begins to release noxious toxic chemical, causing inflammation of the surrounding tissue, including the nerve root. The result is radiating symptoms down the leg, the pattern according to which nerve is affected. Tingling in feet and legs. People often think the tightness in the back of the thigh is from a tight hamstring - and try stretching it by bending forwards. It's about the WORST thing you can do if you are having slipped disc symptoms! Lower back pain? Tightness or pain in the back of ONE leg? Definitely not fine. Lower back and leg pain go hand in glove. Whilst I don't believe one has to rush off to the doctor with every snivel, or to the chiropractic with every back pain, should pain, or a tight feeling, develop in the leg then I recommend you don't wait. Get to your chiropractor immediately. 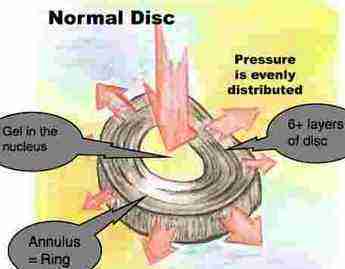 The sooner that disc is reduced the less the likelihood of it progressing. First, increased response to a pinprick in the leg, later it becomes numb. A decreased reflex; for example, L4 lumbar spine reflex. 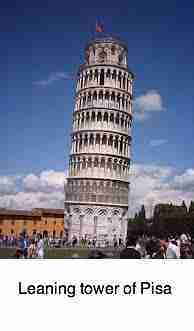 Weakness, most often either difficulty raising the big toe, or standing on the heel. Notice in this next picture - an MRI scan - how the gel is bulging deep into the Inter vertebral foramen? Now it's called a prolapse... aka as an extruded disc. Sequestration or extrusion of the nucleus of the disc causes severe pain and tingling the leg, and sometimes loss of bladder control; these are important slipped disc symptoms to note, to tell the attending doctor. Grade IV: Minimal back pain + severe pain in the leg. Mr T is a very fit Dutch policeman. Four months ago after a fall on the beat, he developed the typical slipped disc symptoms. LBP, pain with sneezing and discomfort on bending. NSAID drugs were prescribed by his doctor, but no reduction of the bulge was attempted; it was seen simply as an inflammation, rather than a change in the normal workings of the disc. That's what we call the biomechanics of the joint, nor was any rehabilitation attempted; the pain receded. As part of his job, he often needs to travel long distances in the car, and within weeks he began developing back pain again, and worse, more severe slipped disc symptoms developed. First pain in the leg, then weakness in the calf, and numbness on the side of his foot. Physiotherapy helped somewhat. Abruptly, the stabs in his back subsided after a heavy shower of sneezes. Dutch is a very colourful language. And then the pain in his leg became very severe. Sitting in the car became quite impossible. In a grade 4, a fragment of the disc gel becomes detached from the main body of the nucleus and becomes lodged in the spinal canal or foramen. Back pain is greatly reduced, but the leg becomes very uncomfortable; bladder symptoms may develop. In technical jargon, it's called the sequestered disc; ouch. Can you see the tiny loose fragment? This scan was only taken after he had already had four chiropractic adjustments, manipulations, of the slipped disc. By then the pain in his leg was already 30 percent less, so we will never know how large the bulge actually was in the beginning. The slipped disc symptoms of a grade I or II herniation are treated by chiropractors on a daily basis. It's routine, though I've learned never to take them for granted. Nor should you. Research shows that 5 percent of all those suffering acute LBP will go on to develop severe, disabling, chronic pain and no one knows ahead of time whether you could be in that group. Anterior thigh pain needs to be carefully weighed; it could be a hip condition, but in the presence of lower back pain is more likely to be a femoral nerve impingement. Tingling in feet and legs is a serious business; if you ignore it you're probably in for more slipped disc symptoms like pain, numbness and paresis of the muscles. Then a surgical consultation is imminent. Chiropractic help is a powerful tool in the treatment of slipped disc symptoms but you do have to use your savvy, work with your chiropractor and do your exercises faithfully. Diet has an important part to play too. Plenty of fibre to prevent constipation is vital since having to bear down hard is extremely painful and is likely to increase the bulging disc. Vitamin C rich foods and a chicken bones bouillon to provide the basic amino for cartilage also helps. In general, an anti inflammatory diet and vegetable high in protein all contribute to healing. My experience is that it's usually those who won't listen who end up under the knife. Who refuse to slow down, stop sitting and when necessary stay at home. When you get pneumonia, you feel sick and are happy to oblige the doctor and stay home; but when you injure your spine you simply hurt. Once the pain is reduced with chiropractic help, but before adequate healing has occurred, patients often insist on returning to the workplace, and start sitting for long hours long before it's allowed. Damaged tissues need oxygen to heal; low back pain and smoking go hand in hand; air may get into the lungs but it just doesn't adequately reach the torn disc material; it's the greatest risk factor in failed back surgery, and in chiropractic too. Despite the best efforts of both patient and chiropractor, one has to acknowledge that chronic back pain is a reality. My own take is that surgery is sometimes necessary, another opinion always useful, daily lower back exercises before arising from bed, a better diet which might include anti inflammatory chili and maintenance care. "Those who won't hear, must feel." Bed rest in the management of lower back pain remains controversial. Research in fact indicates that bed rest ON ITS OWN has no place in the management of lower back pain. In fact it may worsen the condition. Nope, this is not a fancy scan of a disc that is in decay. 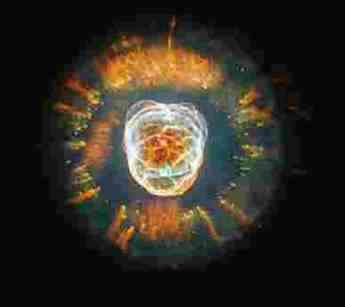 It's a picture of a nebula taken from the Hubble telescope. It's been called Eskimo because it looks like a face surrounded by a furry hood. The hood is, in fact, a ring of comet shaped objects flying away from the dying star. Eskimo is 5,000 light years away from the Earth. It keeps our human problems in perspective. Our sun, in comparison, is 8 light minutes from the Earth. Is this not a chiropractic case? Perhaps, and for the first twenty five years in practice, whenever a patient had a grade IV slipped disc, also known as a sequesteration, I wouldn't even attempt to treat them; off to the surgeon.They key symptoms is sciatica without back pain. However, now for the last ten years, I have started giving a trial period of treatment, limited to four weeks. Well, Mr T is 80 percent better. He can sit normally, and this week he goes part time back to work. Update; Mr T got completely better, and after three two monthly consultations, was completely pain free, with a full range of motion of the back and a negative slump 7, so I discharged him. He knows to keep doing his exercises. On a personal note, I am recovering myself from a sequestered lumbar disc, affecting the side and front of the thigh, and inner lower leg, confirmed on mri. With excellent care from my colleague, and a great deal of patience, I have no pain, but still some residual numbness in the lower leg; you can read about it at femoral nerve damage. Whilst a normal disc prolapse takes about six weeks to heal with chiropractic help, provided you don't delay, my sequestered disc took about six months to recover fully. I'm lifting beehives and building compost heaps again without difficulty, but I'm careful and do the exercises very faithfully. Can manipulation cause a Grade IV? 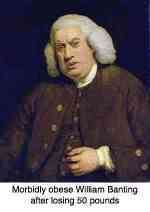 Yes, I regret to say I have caused a few in thirty six years, particularly in the early years when I was inexperienced. No treatment, chiropractic or medical, is without risk. 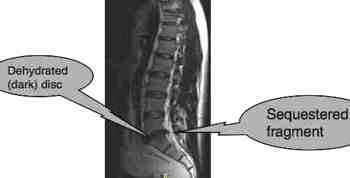 Even withholding treatment, as happened in Mr T's case, can and often does worsen a disc injury. Chiropractor-caused disease. Chiropractic iatrogenic illness ... any stories to tell? Now I've learned not to use brute force and ignorance in the treatment of slipped disc symptoms. Mostly! Occasionally, on a very large person, considerable force is required to reduce the slipped disc. In short, get properly better. It's all about developing the gross degenerative changes so often seen on x-ray in those who's back have been mismanaged; sometimes then this spinal stenosis exercise is the only sure thing that will help. Interestingly, research shows that if you FIRST consult a chiropractor, you are less likely to end up under the knife. This is simply an anecdote, but what's really interesting is the defence's expert witness, a Dr Swamiji Anath's statement. It's reported in the daily newspaper of 11 June 2013 that a certain medical doctor appeared the previous day before a board of inquiry of the South African Medical and Dental council for not taking due-care when giving an anti inflammatory injection in the buttock for a lower back condition. He apparently put the needle into the sciatic nerve, permanently damaging it. Said the expert witness in his defence: "Damaging the sciatic-nerve whilst giving a shot into the buttock happens throughout the world and what's more in the best of hospitals." If that's true, and I question it, it's scandalous; every doctor should know precisely where not to place the needle. Chronically degenerate facet joints in the lumbar spine can also produce pain that radiates down the leg, frequently to the calf, but also to the front of the thigh and lower leg. Then bending BACKWARDS or TO THE SIDE causes pain in the leg, sometimes with minimal back pain..
Return to lower back pain home page ... the economic burden to society. Slipped disk ... more info. Is my chiropractor just after money? Did I alienate my chiropractor? Pain in lower abdominal area after chiropractor.